Chicago, Ill. (June 21, 2017) – Chasing Harvest, the premium wine brand handcrafted by the husband and wife team of Mike Kush and Jennifer Kingen Kush, is pleased to launch its first Rosé wine. Sourced from New Zealand’s Central Otago region, the brand’s newest offering since its 2014 Riesling is made from the pinot noir grape. Using a unique Champagne press cycle and minimizing skin contact the wine is fermented and aged in neutral French oak barrels, which results in a wine great texture, elegant aromatics and delicate pink hue. 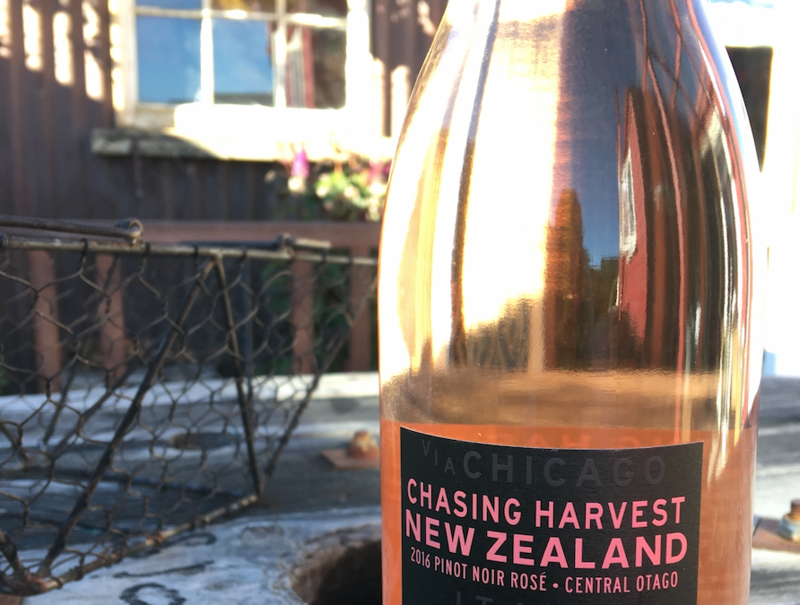 Chasing Harvest 2016 Rosé is a dry wine that exhibits traits that are characteristic of the noble varietal of Pinot Noir and the Central Otago, New Zealand region. Chasing Harvest offers a variety of wines sourced from two of the world’s most exciting wine regions – The Douro Valley, Portugal, and Central Otago, New Zealand. The brand name represents the couple’s travel between the Northern and Southern hemisphere for the harvest, which happen at opposite times of the year. Although they call Chicago home, the duo spends a few months of each year in both wine regions: New Zealand (spring) and Portugal (fall). Having strong partnerships with local growers in these regions has afforded them the opportunity to produce their own label from top vineyards. The team’s very first crush produced a 2009 Pinot Noir (New Zealand), which quickly sold out. Shortly thereafter, they began making unique blends like a Douro DOC Vinho Tinto and Douro DOC Vinho Branco, both from Portugal. Brooklyn, NY (June 7, 2017) – Kelvin® Slush Co. (Kelvin), the first and only certified organic cocktail mix specifically formulated for making premium frozen cocktails, recently launched its newest flavor, Frosé (aka frozen rosé). Made with organic peach and strawberry juices, the new base slush flavor is the sixth in a series that includes citrus, piña colada, margarita, ginger and tea, and has quickly become the company’s best-seller. Kelvin started as a food truck on the streets of Brooklyn in 2010 selling organic non-alcoholic slushies to thirsty New Yorkers. Taking a cue from their loyal customers – who always brought flasks to the truck to spike their slushes – Kelvin began collaborating with bars and restaurants to create and serve custom, premium frozen cocktails. Now solely focused on the wholesale channel across the USA and Canada, Kelvin has revolutionized the frozen cocktail category by going beyond traditional “fruit” flavors (often made with artificial ingredients and high-fructose corn syrup), which limit restaurants and bars to frozen fruit cocktails. Kelvin’s award-winning versatile base flavors feature high quality all-natural ingredients, which allow operators to create and customize almost any cocktail – including classic cocktails – in frozen form. 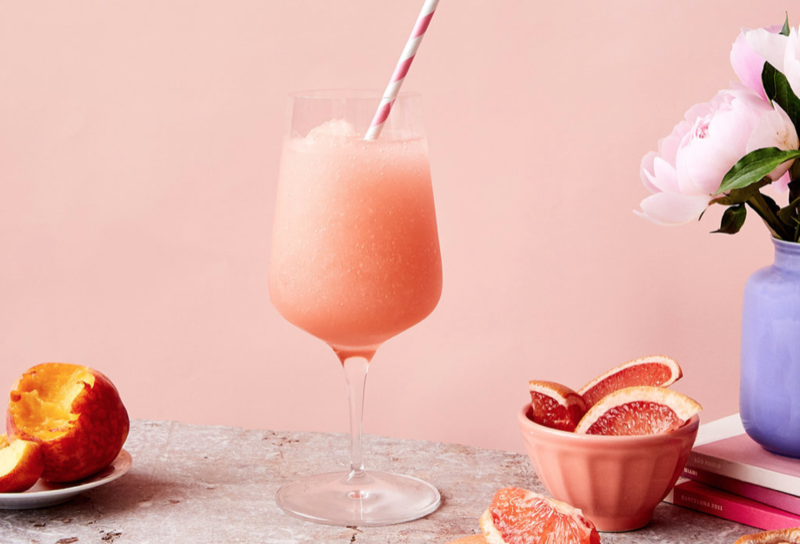 It took the company one year to perfect its Frosé recipe. Making a well-crafted frozen drink requires the perfect balance of sugar, alcohol and flavor profiles to freeze correctly and taste just right when frozen. The Standard Spa Miami was the first to put Kelvin’s Frosé recipe on its menu, where it immediately became their best-selling drink and caught the attention of neighboring restaurants and bars. The Kelvin Frosé is now served at leading restaurants and bars across the country, including: Eataly (New York), Soho House (Chicago), Malibu Farm (Malibu), The Edition Hotel (Miami Beach) and Stay Gold (Austin). Kelvin’s premium cocktail mix can be used in any uncarbonated frozen drink, slush or granita machine by combining the following ingredients in a slush machine: 1 bottle Kelvin Organic Frosé Mix, 4 bottles Rosé Wine, 0.5 Liters of Vodka (or other white spirit), and 1.5 gallons of water. The premium mix can also be used in a blender at home. Kelvin is available for bars and restaurants in the Continental U.S. via food and liquor distributors, including: US Foods, Sysco, Baldor Foods, Shamrock Foods, Spec’s, Vin Sauvage, Julius Silvert, Rader Foods, and Tampa Beverage Solutions. Kelvin is also available on Amazon by the 64oz. bottle for consumers at home for $34.95 (makes approximately 37 cocktails). All Kelvin products are USDA Organic, non-GMO, vegan, gluten-free, kosher and proudly made in the USA. Kelvin does not use any artificial flavors, ingredients, colors or preservatives. Kelvin Slush Co. is the first and only certified organic cocktail mix specifically formulated for making premium frozen cocktails featuring unique and sophisticated flavors and high quality all-natural ingredients. Led by co-founders Alex Rein and Zack Silverman, the company started as a food truck on the streets of Brooklyn selling organic non-alcoholic slushies to thirsty New Yorkers. Today, Kelvin collaborates with bars & restaurants across the USA and Canada to create custom, premium frozen cocktails. All Kelvin products are USDA Organic, non-GMO, vegan, gluten-free, kosher and proudly made in the USA. Chicago – (June 5, 2017) – Argo Tea®, the nation’s leading brand of premium tea and retail cafes, today announced its first national promotional collaboration with Walgreens to celebrate National Iced Tea Month. The multi-pronged effort is comprised of an in-store Walgreens-exclusive consumer sweepstakes, a ChariTEA® donation to Stupid Cancer® – the country’s largest young adult cancer nonprofit – and a digital media campaign to promote the National Iced Tea Month campaign. From June 4 – June 24, three flavors of Argo Tea – Carolina Honey®, Green Tea Ginger Twist® and Hibiscus Tea Sangria® – will be featured on display at Walgreens nationwide in honor of National Iced Tea Month. During the period, Argo Tea will donate 10 percent of profits of their bottled teas sold at Walgreens to Stupid Cancer. Additionally, Argo Tea is offering a Walgreens-exclusive sweepstakes for the chance to win an Argo Tea-branded cooler. Consumers who purchase three bottles of Argo Tea at Walgreens – from June 1 – July 15 – can text “ARGO” to 35227 and upload their receipt for a chance to win one of a thousand coolers being given away. The sweepstakes will be supported with in-store point-of-sale. For complete rules and alternate entry, visit https://www.argotea.com. The National Iced Tea month collaboration will be enhanced with a digital marketing campaign comprised of email marketing, social media and paid digital media to drive awareness of Stupid Cancer, the ChariTEA program with Walgreens and the national consumer sweepstakes. Since brewing its first cup of tea in 2003, Argo Tea has quickly become a household name and leading multi-channel, branded beverage company. 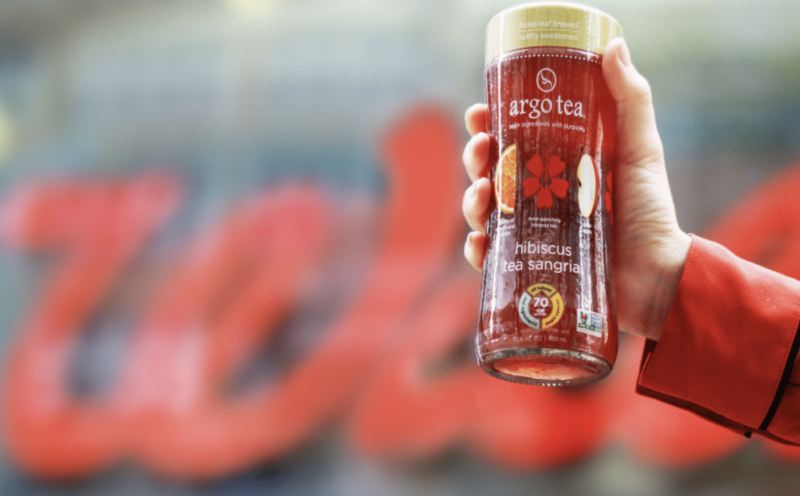 Its ready-to-drink teas in Argo Tea’s iconic bottles are now available in over 50,000 outlets nationwide through partnerships with premier retailers that value its brand-defining commitment to quality, sustainability and healthy living. With nearly 50 Argo Tea cafés globally, it has established a brand building marketing platform that serves over 10 million cups of tea annually fueling its innovation. Argo Tea’s menu includes all natural-tea based signature drinks, over 30 varieties of loose-leaf teas, premium coffee, fresh-baked pastries, specialty foods, and a selection of tea ware and accessories. Chicago (June 5, 2017) – Kona DeepTM, the naturally electrolyte-rich bottled water, sourced off the coast of Kona, Hawaii, will introduce its namesake brand throughout Chicagoland later this month, including all 41 Mariano’s locations. The introduction signals the creation of a new category: deep ocean drinking water. Until now, consumers had to choose between spring water and highly processed, functional purified waters with artificially added electrolytes. With Kona Deep, bottled water drinkers no longer have to choose between purity and performance. The new brand offers both – the purity of a trusted, natural source with nothing artificial, nothing added and the hydration benefits of electrolytes. Kona Deep comes from melted glacial water, which sunk to the ocean floor more than 1,000 years ago, creating a deep ocean current that still flows today. This infinitely renewable source absorbs naturally occurring electrolytes and minerals along its journey across the ocean floor and along volcanic fissures, which are crucial for hydration and body balance. While deep ocean water is difficult to access, the coast of Kona, Hawaii, provides an ideal location to source and bottle the water because the ocean floor falls sharply to more than 3,000 feet below the surface. At this depth, near-freezing cold and prolonged darkness create a pure water that is protected from light and surface ocean water. Once brought to the surface, the water is desalinated and bottled at the source with a total dissolved solids (TDS) content of 250, the perfect balance of performance and taste. During the process, nothing is added. Kona Deep Chief Executive Officer Patrick Turpin, co-founder of PopchipsTM – the innovative and wildly popular better for you snack – looks forward to sharing the unique benefits of deep ocean water. Since launching in Hawaii, Turpin has grown the brand across the continental U.S., where premium bottle water sales have skyrocketed more than 300% over the past five years. Kona Deep has since gained national distribution via Sprouts Markets and, until now, has focused efforts in several West Coast markets, including Southern California and Seattle. “Deep ocean water is a billion dollar category in Asia, but this is still very much a new category of bottled water in the U.S.,” Turpin added. In addition to Mariano’s, Kona Deep is available in Chicagoland at Fresh Thyme, Standard Market, Sunset Foods, Woodman’s Markets and select Freshii locations in 500mL and 1L bottles. Consumers can also purchase Kona Deep in store or online at www.amazon.com. Kona Deep is a deeply refreshing and restoring water with a unique balance of naturally occurring deep ocean electrolytes essential to life and health. 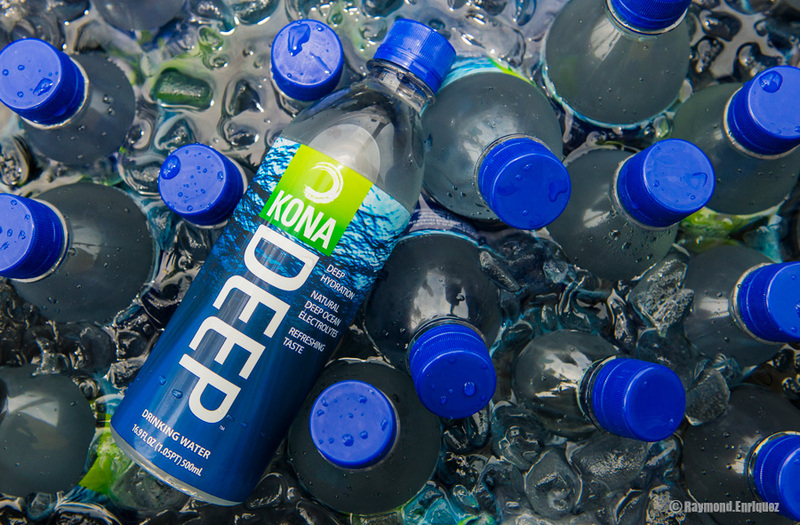 Kona Deep comes from the ocean waters of Hawaii, over 3,000 feet below the surface where cold, pressure and darkness combine to create an exceptionally high quality water. We utilize a unique method to bring the water to the surface to offer you an extraordinary taste and hydration experience. In the process, we add nothing.